Always being on you is just one reason why a smartphone is a great job search manager. 1) Only get one if you must – yes, there are still people who don’t have smartphones. I held out as long as I could before finally getting my first phone, which was a smartphone, in July 2007. How was I able to wait so long? Whether at work or at home, I always had a land line within reach and when I was out, I was either with my wife or otherwise able to borrow her phone. If your job search will see you out of the house often, and it probably, you must get a smartphone. 2) Use your own – Do you have a work phone from your current job? You'd better not ever use it for anything job-search related. 3) Separate work and play – job search is a job in itself and should be treated in kind. Just like you should use a separate “home-work” email account for job search, consider getting a separate home-work number for job search. You could rent a phone or use a second SIM if your phone has that capability, or if your service provider allows, get an additional number on your current SIM. Among the many benefits would be knowing that anytime that number rings, it’s job search-related. 4) Choose the right plan for you – use this article and your personal experience to make a short list of needs for your job search phone usage. Perhaps you’ll need more minutes or you’d like to have Internet access if you don't have it already. Then, find the best plan that fits. 5) Choose the right phone for you – similarly to the above, maybe your current phone doesn’t allow you to do everything you’ll need or maybe it’s time to get a new phone anyway. Again, before making your choice, try to understand your needs as best as you can. 6) Sync with your personal brand – The kind of phone you carry should be consistent with your personal brand. If you’re going to an interview for a professional position and you’re well-dressed, don’t ruin that impression by arriving with a scratched, beat-up old phone. If you do have an old phone, at least buy a shiny new faceplate to put on it. 7) Keep your phone charged – have your phone fully charged before you head out for interviews or meetings. You may even want to carry an external battery with you if you’re a heavy user. 8) Keep your phone updated – service provider or manufacturer security patches prevent people from stealing information off your phone, and app updates get you their latest features. Typically these updates happen automatically, and if that's not the case for you, make sure to update your phone as often as possible. 9) Follow manufacturer usage guidelines – don’t ignore warnings about using your phone in extreme weather, getting it wet, etc. The last thing you want is for it to die when you depend on it for so much. 10) Anticipate loss or theft – avoid storing anything incriminating on your phone, use strong passwords, keep your information regularly backed up on your computer and enable phone-finding apps that both iOS and Android phones all have. 11) Address book / Contacts – put all your contact information into your phone’s Contacts app and fill each profile as much as possible. Include company research where relevant and notes about people you’ve met or are going to meet. Categorize your recruiters and job search contacts and assign each category a unique ringtone so you’ll know it’s a job-related call before you answer, especially if you didn't/couldn't follow tip #3 above. 12) Calendar – keep your schedule of job search tasks, interviews and networking opportunities updated for you to check at a glance. You might even put a widget on your home screen that shows your next meeting(s). 13) Reminders – by having your schedule on the phone, you can set reminders so you never miss anything. 14) Memos – whenever a job search idea pops into your head – tactics to try, someone new to contact, etc. – take note of it and then assign an alert to remind you about it later. 15) To do lists – organize your job search tasks in a prioritized to-do list. Assign a due date to each task and make your best effort to meet those deadlines. This is especially important if you’re unemployed and might be getting out of the habit of having deadlines at all. 16) Email / messaging services – being able to check your email and other messages on the go let's you react asap and for some people, is also a good way to avoid carrying around a laptop. 17) SMS / Text messages – have job listings delivered directly to your only if you can ensure that each listing will interest you otherwise this will get annoying very quickly. Also, depending on how you’re managing your job search, this may not be very practical. 18) Camera – take a picture of interviewers if they don’t mind and attach the image to their profile in your address book. If they ask why, it’s a memory building exercise. People don’t do this often, so it will make your visit more memorable. Another idea – make a video of yourself giving your elevator pitch so you can easily share it. 19) Voicemail – have a professional-sounding voicemail message that’s brief, upbeat and confident. Don’t be afraid to change the message on a whim if you’re expecting a specific call and there’s a chance you’ll miss it. 20) Web browser – read about targeted companies and other industry news, browse job listings, and more. 21) Image gallery – carry pictures of unfamiliar meeting locations that you downloaded from company websites, visual examples of your work (where relevant) and a good, professional-looking portrait of yourself for quick sharing. 22) Files – carry digital copies of your resume or CV for quick sharing. 23) Audio and video – listen to job search podcasts, watch job search lessons, or just veg out during a commute with your favorite music or tv show. Job searching is stressful. 24) Apps – there are hundreds of Android and iPhone job search apps. 25) GPS – combined with Google Maps and the like, always get to your interviews, job fairs and networking events on time. 26) Lockscreen and homescreen backgrounds – be careful of which images you use if there’s a chance that a job search contact will see them. 27) Put it on your resume – the only telephone number listed in your resume’s contact section should be your cell or smartphone number. This lowers the chance of lost messages that someone else forgot to give you. 28) Record your calls – a great way to review your phone interviews before the next round, or any instructions you forgot to write down. 29) Forward your calls – if you’re using Skype for international job search telephone calls, have Skype forward all calls to your phone. If some recruiters have older versions of your resume with your home phone listed, do the same with your home phone, simplifying your voice communications by having them all managed from one device. 30) Filter your calls – are you ready for the incoming call? If not, let it go to voicemail and call back when you’re better prepared. 31) Think before answering – don’t take job-search-related calls if you’re in a place where expressing yourself freely could be a problem or leave a bad impression e.g. while driving, at work (I'm not kidding), on a noisy street, at a doctor’s office, in the bathroom, etc. You get the idea. 32) Answer with your name – answer the phone by calmly saying your name and not just ‘hello?’. This way recruiters immediately know they’ve reached you, saving time and starting the conversation clearly. 33) Keep your voice down – this is a general tip for anyone talking on a phone. It’s not like a passerby is going to offer you a job lead because they overheard what you're capable of, but it's pretty embarrassing to have a phone interview interrupted by onlookers telling you to shut up. 34) Harvest numbers – unlike most land-based phones, cell phones will record the incoming number unless it’s blocked by the caller, making your smartphone a good way to log recruiters' direct numbers – something most land line phones can't do – instead of having to go through a receptionist for follow-ups. 35) Following up – of course you’ll use your phone for spur of the moment actions like notifying when you’ll be late or need to reschedule an interview, but use it to follow up on emailed resumes and send thank yous as well. 36) Refresh your memory – before interviews, review downloaded information about the company you’re visiting or person you’re meeting. 37) Respect interviewers – put your phone into Airplane Mode before going into interviews. 38) Maybe leave it in your car – if you’re someone who’ll forget to silence your phone before interviews, get into the habit of leaving the phone in your car or set a reminder 10 minutes before the interview warning you to turn it off. 39) Don’t complain when interviewers are rude with theirs – never complain if an interviewer rudely answers their own phone. Instead, make a mental note about them. It’s not necessarily the sign of a bad employer, but it might be the sign of a bad employee. 40) Never interrupt a recruitment call – only interrupt a call with an employer or recruiter if it’s an emergency, and even then, apologize when you do it. 41) Don’t forget it anywhere – especially at a targeted company or a recruiter’s office. That will never look good but if you do forget it, call the office and try to get it back. You may not get the job but at least you’ll save yourself a lot of time and frustration. 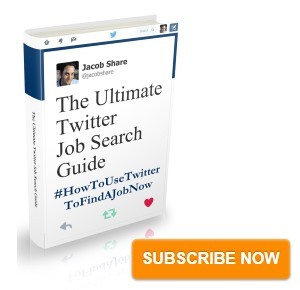 Subscribe to JobMob via email and follow me on Twitter for more tips about your job search on the go. Jacob, What a helpful post! Thank you for putting so much effort into your entry. Isn’t it amazing how cell phones have become integral to every facet of life? Joey, thanks for mentioning your post. Can’t believe I forgot to mention mobile-specific websites, but I’ve added it now. As thanks, I also added a link to your article at the top of the ‘related articles’ block. Hi Tim, thanks for the compliments. To be honest, I didn’t even notice that I’d also Twittered about you in addition to the mention here above, but I’m glad you came by because I took a second look at your blog and subscribed. I like your style. Jacob – Excellent post! Thanks for including my blog post on “Secrets” re: professional message. You have been too good to me this week! All the best to you! Thanks Jacob. Hope to keep you interested. Jacob,Great job!! 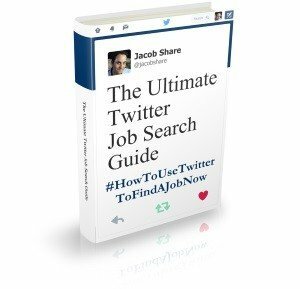 One of the best articles I read about adding different tools to the arsenal of job hunting. These days it’s crucial to adapt, improvise and overcome in order to outpace the competition. Your detailed cell phone tips definitely facilitate that process. 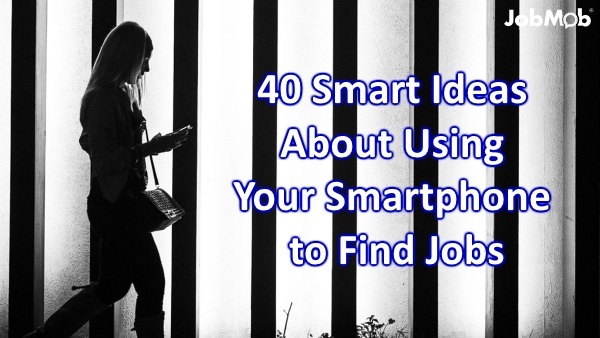 Who would think a cell phone could be such a powerful tool to expedite a job search. As you presented, voice mail is a powerful tool for buying time to allow better preparation to have a call at a more appropriate time.Another powerful job search tool to consider is the Career Management Swiss Army Knife w/Smart Radar. It actually brings job opportunities to you. I wish it was still possible to get by without a cell phone. Great article! Next time I will include this process in my job search, but meanwhile I’ll tell my son about it who will be entering the market soon after his army service! Glad you like it, Gideon, and hopefully it helps your son. Much success to him. Excellent article. Great tips and suggestions.